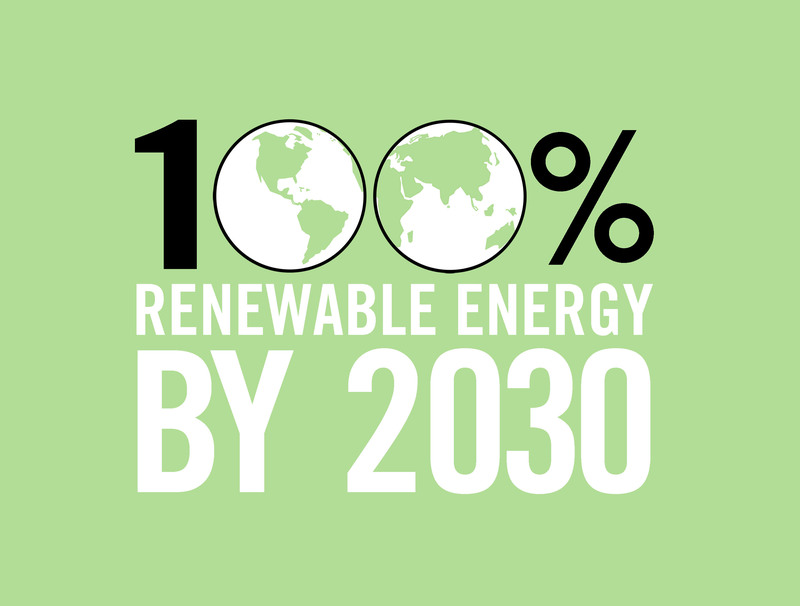 Green climate change activists called today for New York to speed up its transition to 100% clean energy by 2030 following the COP 21 agreement in Paris. Activists contend that the Governor is overly reliant upon market forces to achieve even the limited climate goals he has proposed. One area where the state has failed to make progress is offshore wind, even though the area off of Long Island is the best site in the nation. GELF wants the state to commit to purchase 5,000 MW of off-shore wind (OSW) by 2025 and 10,000 MW by 2030 in order to stimulate the development of the wind industry, spurring jobs and the local economy while cutting costs an estimated 30%. No off shore wind farms exist in the US, though a small one is under construction on Block Island. Prior studies estimate that New York would need to get 40% of its electricity from OSW to meet the goal of 100% clean, renewable energy by 2030. In its budget resolution it adopted last month, the Assembly called for the state to fund a study by Cornell professors to detail how the state could meet the goal of 100% clean energy by 2030. Though this was not included in the final budget, the Greens urged the Governor to provide funding for the effort. The Greens also want the state to divest its pension funds from fossil fuels (A8011 /S 5873) and to enact a robust carbon tax (A8372 / S6037). It is estimated that health care costs alone increase by $30 billion a year in NY to pay for health problems related to air pollution from fossil fuels. A carbon tax would help recover those costs from polluters while helping to fund the transition to renewable energy. The Greens called on the state to immediately halt any investment in fossil fuels and related infrastructure, including natural gas. NY has dramatically increased its reliance on natural gas in recent years, citing it as a cheaper, cleaner alternative to coal. Yet methane from natural gas is 84 times more potent short term as a greenhouse gas than carbon dioxide. The Greens also oppose nuclear power, including the push by Governor Cuomo to provide subsidies to keep nukes operating. Howie Hawkins, who called for a Green New Deal as part of his campaigns for Governor, said “the transition to renewable energy needs to be at the scale of industrial mobilization we saw after Pearl Harbor. We also need to restructure our energy system to be based on public ownership and the common good rather than on private profit. The push by Cuomo and other elected officials to rely upon market forces to solve climate change is a main reason why we are losing the struggle,” said Hawkins. The Green New Deal would slash the military budget and raise taxes on the wealthy and corporate polluters to fund investment in renewable energy, efficiency and conservation. Moving to 100% clean energy would create an estimated 5 million jobs in NYS during the build out and hundreds of thousands moving forward. The transition to 100% clean energy must be a just one, supporting workers and communities dependent upon existing fossil fuel plants, and ensuring that the needs of low and moderate consumers and front line communities are met. Hawkins is a long time advocate of public power, which has helped drive the transition to renewable energy in Europe. Many groups support a major expansion of community shared renewables in NYS, which the Public Service Commission recently gave the green light to. Other communities such as Westchester are looking into Community Choice Aggregation, which gives local communities the power to choose the sources of electricity to be provided in their municipality. “Clean renewable energy should be a basic public right that is provided at cost, not for profit, by a community-based public energy system. We energy democracy, not an energy czar like Richard Kaufman straight from Morgan Stanley and Goldman Sachs, if we are going to take the least-cost and fastest path to 100% clear renewable energy,” said Hawkins. Hawkins also said that Syracuse and Onondaga County should adopt a goal of going to 100% clean energy by 2030 and create a plan to achieve it, with strong public input and clear benchmarks and timelines. “Think globally, act locally,” said Hawkins. In Paris, world leaders agreed to try to cap global warming at 1.5 degrees Celsius rather than the 2 degrees favored by the big industrial polluting nations like the US. Such a goal requires reducing greenhouse gas emissions twice as fast as the previous target, in the 7 to 9% range annually. “It was good that world leaders in Paris admitted it was time to quit burning fossil fuels. But it was like a chain smoker saying ok, I need to quit, hopefully I can cut back to two packs a day shortly, but I am going to start by limiting myself to four packs. We needed them to go cold turkey. And to kick in funds to help the developing world deal with all the problems they face from the greenhouse gas emissions and climate change from the industrial nations,” noted Mark Dunlea, chair of GELF. Since 2009, the state’s goal has been an 80% reduction in greenhouse by 2050 (based on 1990 levels). Governor Cuomo has recently re-stated this as a 40% reduction by 2030. The Green Education and Legal Fund points out that this is actually a weaker goal than 80 by 50 since the easiest reductions will occur in the first 10 to 15 years rather than as a straight line. The last 10 to 15% of the reductions will be the most difficult to achieve and take the longest time. The Greens noted that the Governor’s call for 50% of electricity to come from renewables by 2030 overlooks that electric power plants account for less than 30% of the state’s carbon footprint. Buildings (heating / cooling), transportation and agriculture account for much of the rest. State lawmakers did provide additional incentives for electric cars in the recent state budget but funding for mass transit remains far below needed levels. While the state has invested in expanding solar, its goals remain too weak. The Governor earlier this year called to solarize 150,000 buildings in the next five years. In contrast, California has made considerable progress in the campaign it launched a few years ago to solarize one million homes. GELF has recommended that NY consider a publicly-run program (through NYPA or NYSERDA) to provide the upfront financing for anyone who wants to install solar, recapturing the investments through the solar owner’s monthly utility bill payments over time. The Greens do credit Governor Cuomo with initiating the REV (Reforming Energy Vision) process through the Public Service Commission to redesign the state’s electric transmission infrastructure to better absorb local renewable energy sources. The groups claim REV however focusses too much on providing profits for utility companies and trying to reconfigure the private markets to deal with climate change. Greens say a community-based public energy system is needed for effective energy planning and the lowest cost transition. GELF also wants to overhaul the state’s build codes to require new buildings to have net zero carbon emissions and to support energy retrofits in existing buildings. “Every few weeks, scientists issue a new report saying that climate change is happening much faster than anticipated, and that we may reach the tipping point for catastrophic climate change at any moment. We can not be lulled into a sense of complacency just because more politicians finally admit that climate change is real or because renewables are now cost competitive. We have to eliminate greenhouse gas emissions as soon as possible, along with powering our world with clean renewable energy,” added Dunlea.